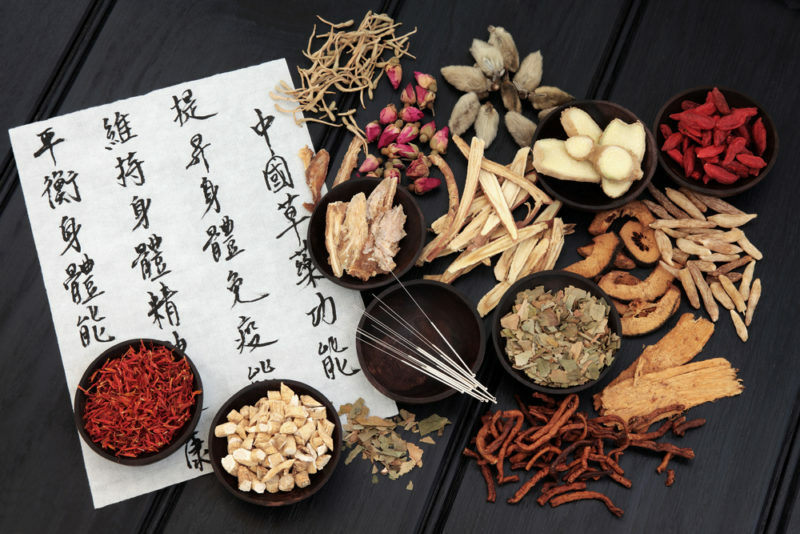 When I was an instructor of the Chinese herbs class at National University of Natural Medicine (NUNM) in Portland, Oregon, my students were constantly asking me to give them some tips and tricks. They wanted to know the best way to learn Chinese herbs. They asked how they could survive the next class in the series: the herbal formulas class, long considered the most difficult class in the curriculum. While the formulas class is still considered the most challenging course, I believe it’s also one of the most foundational building blocks of the entire Chinese Medicine (CM) curriculum. If students work hard and apply themselves to learn and then master the classical formulas, they’ll find the class to be a cornerstone to their entire CM foundation. I can see it in their eyes: How Can I Survive? What’s the trick? The ugly truth? There is no easy way to learn so many intricately detailed formulas. Taking the time to really commit to learning the formulas is honestly the best way to learn Chinese herbs. There is no way around it. Only through it. Once you’re on the other side of formulas, you will be awfully glad that you made the commitment to yourself and to your future clients. Remember, you will use this information every day for the rest of your career. The easy way to learn Chinese herbs is to stick with it, and gut it out. Hard Work is one thing. Needless suffering is another. Keep in mind that I’m presenting these four steps to you in a particular order to keep the ideas organized. You will want to note, however, that realistically speaking, you will be performing all these steps at the same time. As a result, all these steps will be running concurrently. My word of advice to all students learning CM and facing the formulas class as your next step? Use the summer between herbal lab and formulas to begin learning. Don’t make the mistake that most people make: trying to learn everything at once. Why? It’s not possible, as there is too much information to absorb in one fell swoop. You’ll end up overwhelmed and discouraged, instead of primed for success. Choose 60 classical Chinese formulas to begin your journey of formula learning. You’ll find this is the easy way to learn Chinese herbs. Spend the summer memorizing the dosages, names and formulas. Just memorize, and you can worry about synthesizing the information at a deeper level later. No one method works for everyone, but I will share this experience with you. I always found that the old school method of writing the formulas, whether on a whiteboard, a piece of paper or index cards worked the best. It’s the simple mechanics of using longhand writing, and the simple repetition of the exercise, that help to encode the information onto your brain fastest. Of course, not everyone learns using the same method. You may find that you’re better served using a spaced repetition method, like software-based flashcards. Whatever way works best for you, use it every day for at least half an hour a day. Just 30 minutes a day, every day. One step at a time will do the trick. One of my favorite books is “Make It Stick,” by Peter C. Brown, Henry L. Roediger III and Mark A. McDaniel. It reviews how critical self-testing is to the learning process and enumerates the reasons why. Test yourself regularly, as it will help you retain and synthesize the information. Testing helps mold your brain into a new way of thinking about data analysis. The act of testing yourself at regular intervals is literally encoding your mind and paving new neurological pathways in your brain. Set aside a regular test time, once a week. The more proactive you are, the faster you will retain information. Even write it down, repeatedly. Use old fashioned flash cards, and be sure to test yourself in both directions. What do I mean by “both directions?” I mean formula-and-dosage to formula name, and name to formula-and-dosage. Use the flashcards both front to back, and back to front. Step 3: Use Your Sense. And Your Good Taste. Go back to the basics and start at the foundation of CM. Let’s consider Shennong. As many of you know, Shennong is credited as being one of the creators of Chinese Medicine and was one of the first herbal medicine practitioners in prehistoric China. How did he discover different herbal formulas? He meticulously tried, tasted and tested the various herbs. He observed how they made him feel and whether they seemed to be solving a particular ailment. I recommend that you start trying and testing the different formulas, using as a rule of thumb taking just a one-quarter day’s dosage. Use your common sense on this, and be sure to take care. The formula can have a different effect on you, presuming you don’t have the related pathology. Be especially careful with any purgative formula and any formula that is created to address any severe deficiencies. You will, of course, follow the traditional boiling directions and be mindful of what you’re putting in your body. With those precautions in mind, I recommend you start tasting and testing the various formulas. My recommendation is to try and taste a new formula once a week, as it’s the best way to learn the different ingredients and how they react in your body. Step 4: Look for and Find the Connections. Remember that the goal is ultimately to help people, and not just to pass the test. In fact, there’s no established correlation between passing a test at school and achieving clinical success later in your career. What matters at this stage is that you master the formulas. Look for the way that an herb acts one way in one formula but then acts dramatically differently when combined with other herbs in a different formula. Consider your friend, Tyler. Tyler may act one way when he’s spending time with his grandmother, but he may behave quite differently when he’s hanging out with his friends. Well, the same goes for Chinese medicinal herbs. What you are trying to discern are the patterns, the interconnectedness of one formula to another. Just as an herb may act differently in different formulas, so too you will soon learn how different formulas can treat the same pathology. That’s why your goal is not simple memorization, but synthesizing the information and encoding it onto your brain. You need to use tools like mind maps or Devonthink to start absorbing and making sense of your new formula data. Not to geek out completely, but there are two softwares that I personally use and recommend: “The Brain” software and Devonthink. When you use a mind mapping or database software, it will help facilitate your making the connections between the different variations of formulas. The sooner you begin to see and understand the formulas’ associations, the sooner you will be achieving a higher level of subject mastery. As you build your mindmap or database, you will start to see the connections. Bonus Step: Use a Memory Palace. If you’re new to using the memory palace method, many people find it to be a good way to store and organize vast amounts of information. It seems to be particularly helpful for people who process information visually. If you want to learn more about it, Wikipedia has a good article that you can use as a starting point. Remember to incorporate all these tips and tricks as you learn traditional herbal formulas, and you will find the whole enterprise a bit easier. Once you have built a solid foundation for your CM herbal formulation practice, you will be glad you did. Even the tallest building or most prolific medical practice is built on having a solid foundation in place.